As I write this, birds are chirping outside my window, heralds of the long-awaited spring, and that feels profoundly appropriate, for reading Gass after a long absence renews my sense of the possible and awakens me once more to the beauty of the living sentence. It is both a gift to us, his readers, and a challenge, for no living English writer concerns himself more with the possibilities inherent in words. He is, for me, the very personification of the exacting schoolmaster, delighting in every successful phrasing yet quick to strike whole paragraphs in red ink. The sentence – its shape, its sound, the space it makes, its importance to consciousness, its manifestation of the mind/body problem (meaning and thing fastened to the same inscription) – is it in my obsession with the ontology of the word that I find the ground for my own practice? Is that why I emphasize the music of the language, alliterate with the passionate persistence of old poems, wallow in assonance, clutter the otherwise open space of concepts with the clatter and click of dentals and other consonants? Are these the reasons I want the reader’s mouth to move as if reading were being in that moment mastered, and the breath were full of chewable food? No. The reason is that I cannot seem to write in any other way; because sound sometimes rushes ahead of sense, and forces such sense, gasping and panting, to catch up. I often think, overhearing myself at work, that I do not write; I mumble, I whisper, I declaim, I inveigh. My study is full of static when it is full of me. His “no” here is somewhat disingenuous, for whether or not he is by constitution a musician of the word, he understands better than most the role language plays in assigning particularity to people, in creating the human individual, in flesh or on paper. As he will later write, “[…] every mark on the page, apart from its inherent visual interest, is playing its part in the construction of a verbal consciousness, and that means commas must become concepts, pauses need to be performed, even the margins have to be sung, the lips rounded as widely as the widest vowel, round as the edges of the world.” Here, then, is the foundational philosophy of his form: not story, not narrative, but the word, the logos – and this is the great joy in reading him, for he makes of every mundane sentence a symphony of music and meaning. We become Stoics (if that is where we end up) not because reality is good and relentlessly rational, but because we feel powerless to affect events and are willing to be put in our place like a knickknack on a shelf, to cover ourselves, like our eventual graves, with dust. If we have to accept what we get, why not imagine that it’s just what we want? Our early sense of the injustice of justice will soon be driven off with kicks and curses, like a stray, to be replaced by a blindfolded figure holding scales. Another scenario has us advising one reddened cheek to offer the other, since such a gesture calms the smiting palm, decreasing the slaps of our masters; and we celebrate humility and obedience for the same wise reasons of weakness. Thus – and inevitably – the strong promote programs of exercise for themselves while recommending rest to everybody else; the cerebral study chess and pretend its bloodless board is one of battle; while wimps practice patience, servility and patriotism. Nietzsche bit our values as if they were suspicious coins and left in each of them the indentation of his teeth, because, for him, only the hard, not the soft, was genuine. We make other noises. Yet it is an old rule of history that exiles return, that they return wrathfully, whether a banished people, a forbidden idea, or a barricaded way, to reclaim what should have been their heritage. They return wrathfully, not only because they remember and mourn the life they were taken from, but because the past can never be recovered, not even by a Proust, not if you wish to take up residence in it again. To listen to our stories, other selves have been invented to replace the dolls, who, if any remain, are alive somewhere in other arms. But of course poetry, if it returns, will never make us pay. It will not put us to death or in prison or send us, as it was sent, so sadly away. It will simply put us to shame. 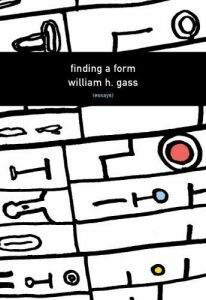 Gass is far too modest to say it, too self-effacing, but he is one of the instruments of poetry’s wrathful return, putting the rest of us to shame with the beauty of his words and the sad contrast they provoke with our own diminished language.